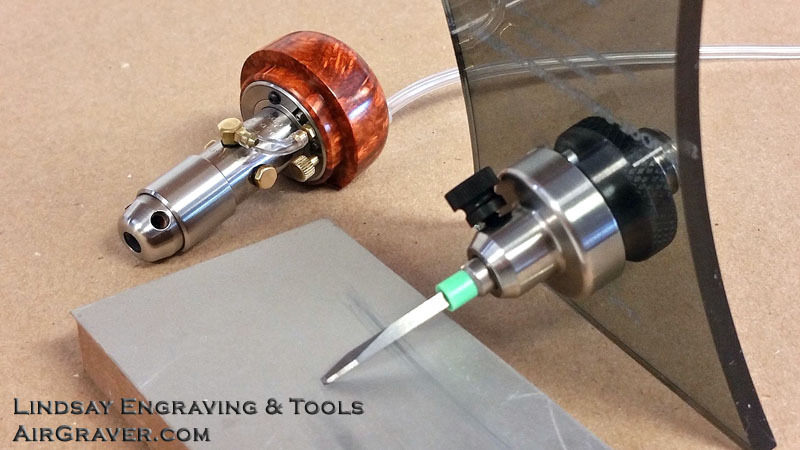 Steve,Were did you get that green band that's on your graver?good idea. J.J.
Duh, I never thought to use the plastic bands to set the length. Good idea! Setting the length sticking out is the only drawback to the template system I see and that solves it. Add that to the instructions for the template system so us mortals know the secret. 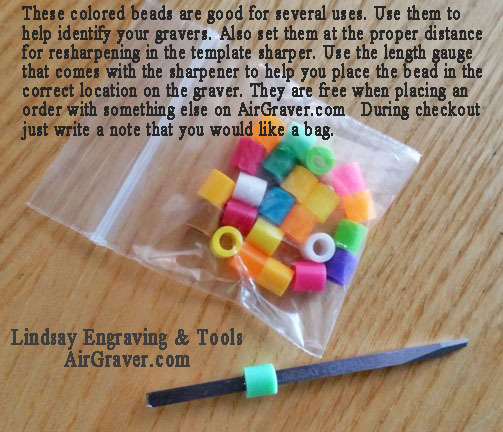 Colored graver beads are good for several uses. Use them to help identify your gravers. Also set them at the proper distance for resharpening in the template sharper. 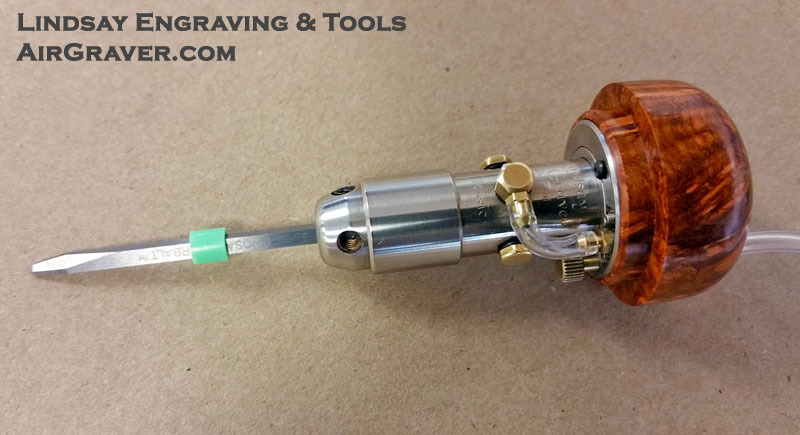 Use the length gauge that comes with the sharpener to help you place the bead in the correct location on the graver. The beads are on the AirGraver site. They are free when placing an order with something else on the site. During checkout just write a note that you would like a bag. The bands work great for keeping your gravers separated. I "dumb stumbled" over the depth adjustment use, wish I could say I thought it up but I had put it all the way on the graver up near the tool, then went to touch it up and realized it was too far on to go in the sharpening jig. I slid it in so the spacer went on and then realized if I left it there it would be quick to sharpen.